Music in the Afghan north, 1967–1972 presents materials from Mark Slobin’s research in Afghanistan before successive waves of war and Islamist rule began to decimate its traditional culture. 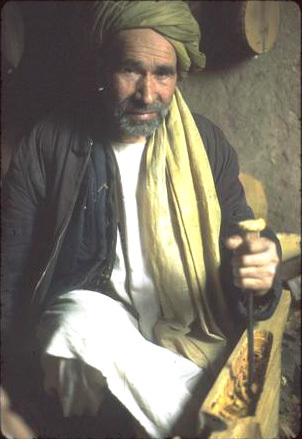 The site involves three layers of organization, with increasing access to the study’s technical materials: an introduction to the ideas and topics with capsule summaries; links to excerpts from the book-length study; and the complete book Music in the culture of northern Afghanistan (Tucson: University of Arizona Press, 1976). Still photography, moving picture clips, and sound clips accompany the written text. 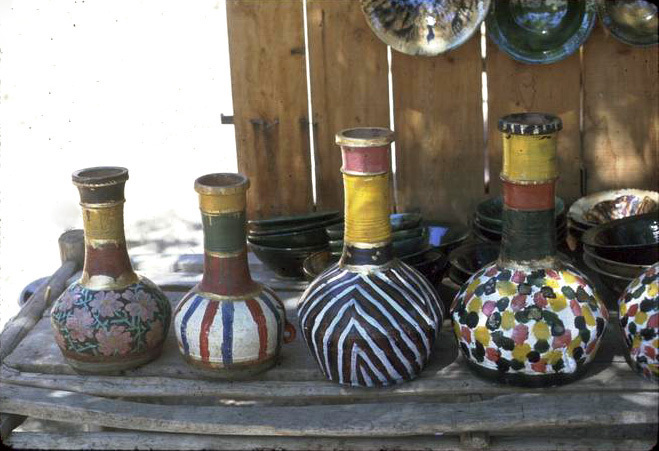 Above, a rubāb maker in Mazār-i-Sharīf; below, drums for sale in Istālif, a village renowned for its glazed pottery.